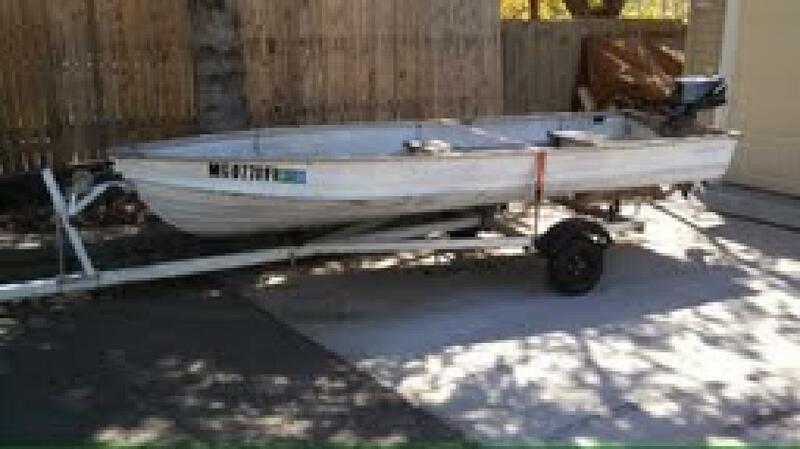 14' aluminum Starcraft for sale. This boat has no holes and is is nice condition. It have a Nissan 5 motor. The motor has not been used in year and start up with only 3 cranks. Almost perfect condition. This sale aslo comes with the boat trailer. Two wooden ores and 2 coffee can concrete anchors are included. Looking for $ OR BEST OFFER. Need gone ASAP.